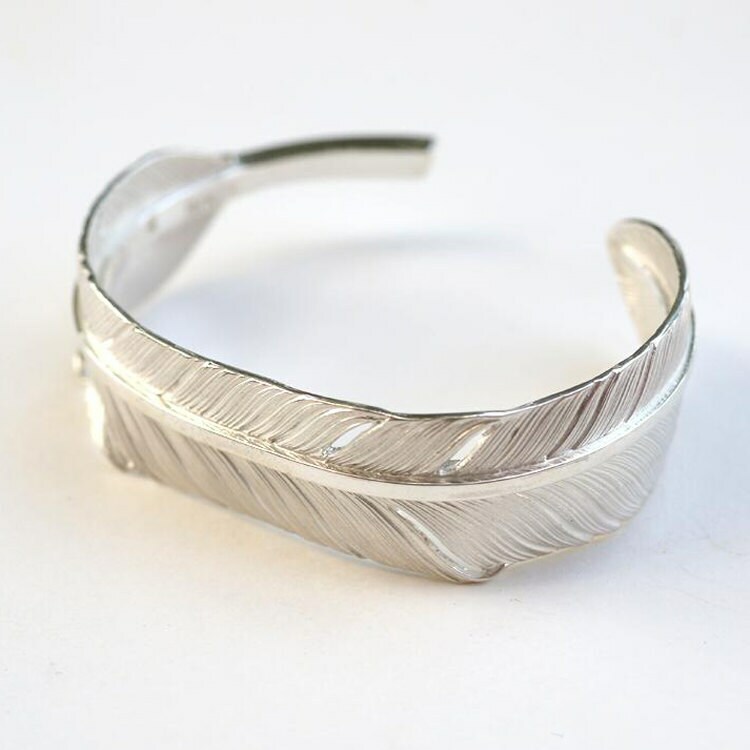 The silver feather bangle is a part of our extensive collection of feather jewelry. Inspired by Native American traditions where the eagle feather is considered very special, and is a symbol of strength, freedom and wisdom. 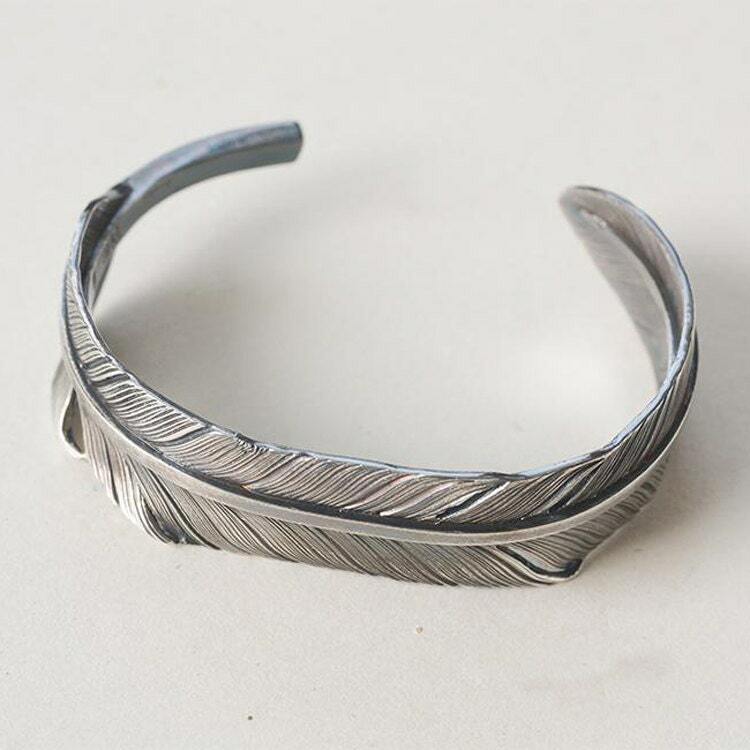 The sterling silver bracelet is crafted as a single eagle feather, curving into the shape of an open bangle. The thick center quill is wide and strong enough to support the flowing feather barbs, which look all too realistic. 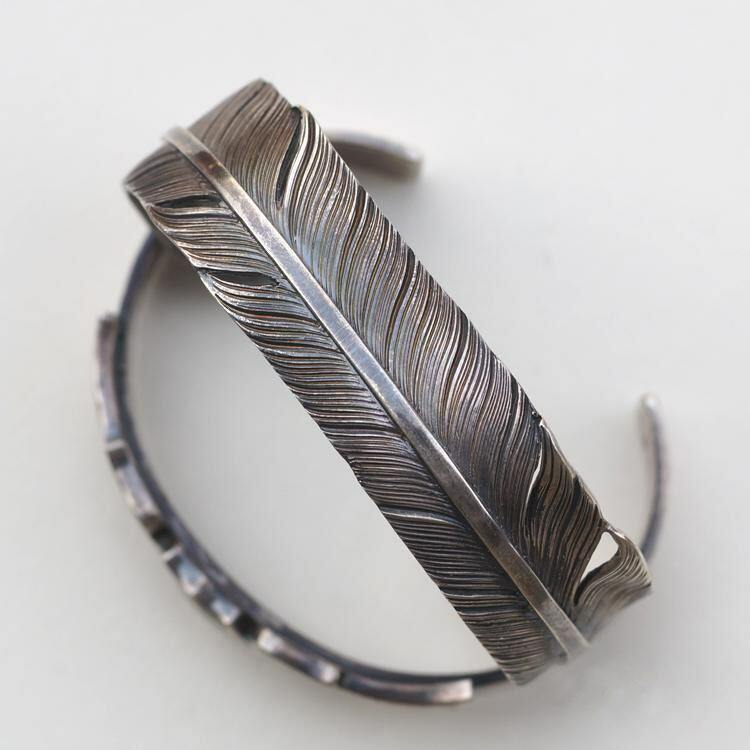 100% handcrafted with hand tools - this beautiful feather bangle is an ideal gift for both men and women. 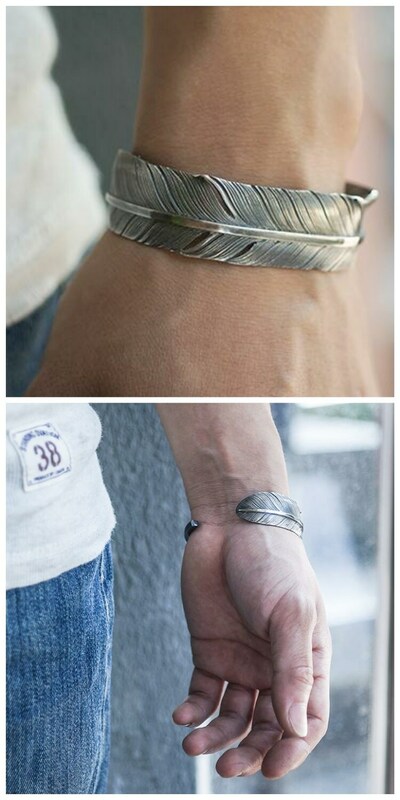 S: 16-16.5 cm/6.3-6.5inch, Length of Feather: 13.2cm/5.2inch, fits wrist circumference up to 16cm/6.3inch. M: 16.5-18.5 cm/6.5-7.3inch, Length of Feather: 15.8cm/6.2inch, fits wrist circumference up to 17cm/6.7inch. L: 18.5-20 cm /7.3-7.9inch, Length of Feather: 17.3cm/6.8inch, fits wrist circumference up to 18cm/7.1inch. Width: 1.8 cm/0.71 inch. Thickness: 1.2mm/0.47 inch. 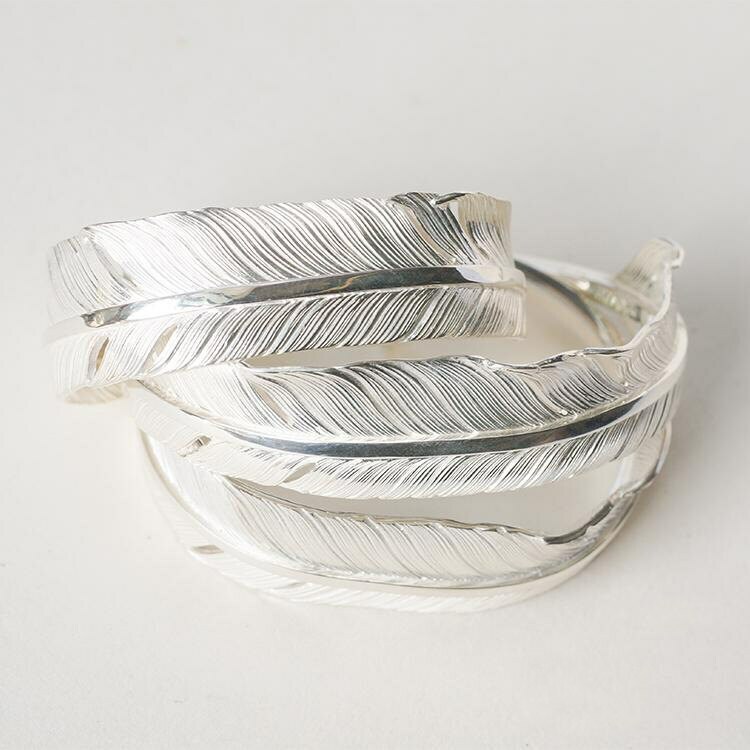 The silver feather bangle is available in two different finishes: the shiny silver finish, and the oxidized, vintage finish. We can custom engrave English alphabets (in LARGE CAPS) and numbers (Max 7 characters) on the back of feather stem - totally free of charge! This is the second bracelet I purchased from this vendor you just can't find a more stunning more detailed more crafted piece then this. Truly amazing work of art. Totally happy totally worth the money if you're looking for a totally Unique Piece this is it.